Coal export terminal developer Phil Tagami said despite the appeal, his company is moving forward with the project. The proposed West Oakland coal terminal would receive multiple trains laden with coal each day. The city of Oakland filed an appeal yesterday in the Ninth Circuit Court of Appeals in an effort to salvage its coal ban. Oakland hopes to reinstate its prohibition on storing and handling coal as it applies to an export terminal that developer Phil Tagami's company, Oakland Bulk and Oversized Terminal (OBOT), and the Bowie Resource Partners coal company, are planning to build in West Oakland. 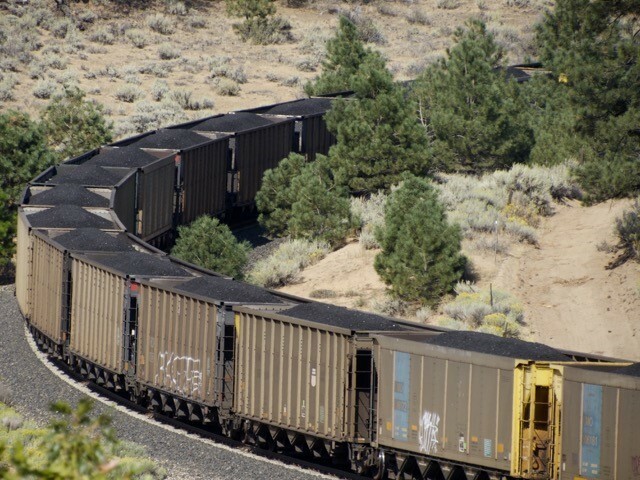 Last month, U.S. District Court Judge Vince Chhabria ruled that the city's coal ban couldn't be applied to the project because the city lacked substantial evidence that shipping coal through Oakland would harm public health and safety. As a result, Chhabria concluded that the city violated its contract with the coal terminal developer when it sought to block the project. The Sierra Club and Baykeeper, two environmental groups that supported the coal ban, have also indicated that they plan to contest Chhabria's decision. "The Sierra Club will continue to support the City of Oakland in protecting clean air and public health in our city," Luis Amezcua, chair of the Northern Alameda County Group of the Sierra Club San Francisco Bay Chapter, said in a statement yesterday. "This is a complex legal issue and Judge Chhabria’s decision is by no means the end of the conversation." Tagami responded to the city's appeal with frustration. "Throughout this entire process, we have continually looked for someone to talk to at the City," said Tagami in a statement today. "Now the judge has ruled; the City’s action was invalid, and we are moving forward with the project." David Smith, an attorney for OBOT, said he expects Chhabria's decision will be upheld due to the city's poor job in documenting possible harms that could result from shipping coal through Oakland. "All you have to do is actually read the court’s ruling to see how poor the City’s legal position is," Smith said in a statement. "[A]mong other things, the federal court said the City’s position is 'riddled with inaccuracies, major evidentiary gaps, erroneous assumptions, and faulty analyses.'" The city has already spent over $1 million defending its coal ban in federal district court, and the appeal will likely cost hundreds of thousands more. But Oakland officials have justified their effort as necessary to protect residents from toxic coal dust that could blow off trains and from warehouses. Having prevailed in district court, OBOT is already seeking to recover $140,849 in litigation costs from the city.